We are really excited to share this recipe from Ingrid (@zulcuisine). When we asked her to do a guest blog for the site she came back with this amazing recipe for vegan sweet pineapple tamales. Big thumbs up. Check out the recipe below and make sure to connect with Ingrid on Instagram and her blog (links at the end of the post). Tamales are a tradition in our family especially during the holidays. Our families get together to make tamales. It takes some time to make tamales but it’s worth every minute. Not many people have tried sweet tamales. However, growing up, my grandma always made sweet tamales for us kids. I loved those sweet pineapple and raisin-filled tamales as a kid and as a mom I wanted to share this childhood treat with my children. We usually make several dozen before Christmas and have plenty to freeze. We then defrost them, re-steam or microwave them, and eat them on special occasions such as Christmas, Día de Los Reyes and Día de la Candelaria (Candlemas). Savory tamales usually take longer but with this recipe you can enjoy sweet tamales in a couple of hours. For an added kick, sprinkle with toasted coconut. Needless to say I can’t wait for the holidays and make these amazing vegan tamales with my family! 1. In a large mixing bowl, mix masa flour, cinnamon, baking powder, soda, salt and sugar with a wooden spoon, adding the syrup from the canned pineapple until mixture becomes smooth. 2. Continue adding the raisins, pineapple, coconut oil and almond milk, folding until all ingredients have been well combined. 3. For lighter and fluffier tamales, let the dough rest for an hour in the refrigerator. Remove the dough from the fridge and re-beat it, adding enough liquid to get it to the consistency it had before. 4. Drain the corn husks. Spread out one of the corn husks and spoon approximately 2 tablespoons of masa mixture on the rectangle side of the soaked corn husk. Fold in one of the sides of the corn husk then, fold the other side. Fold up the pointy side and turn the tamale to keep from unfolding. Repeat with remaining corn husks. 5. Fill a tamale steamer with 3 inches of water and carefully place the steamer rack back in the steamer. 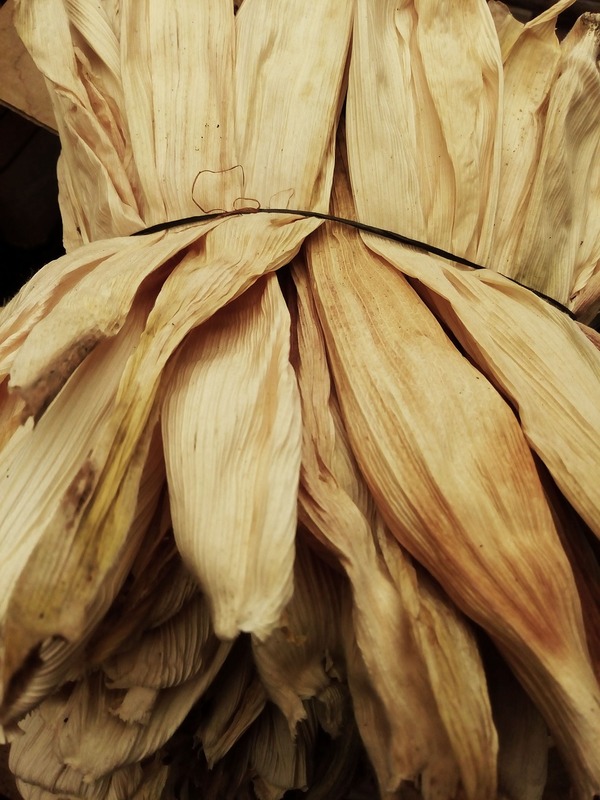 Arrange tamales upright on steamer rack and cover with a damp towel or leftover soaked corn husks; cover. Bring to a boil and reduce heat to low, adding water as needed. Steam for 1 hour or until corn husks pull away from the masa intact. 6. Remove steamer from the heat and let sit covered for 10 minutes. Uncover and let cool for at least an hour. Don’t be alarmed if the tamales seem really soft. As they cool, they will firm up.